Seasonal goes micro at Single Thread Farms. For everything there is a season. But for Sonoma County farmer Katina Connaughton, there are 72 to consider instead of just four. Rather than painting broad strokes across her agricultural yearbook—spring, summer, winter, fall—Connaughton and her husband are bringing a set of ancient Japanese farming techniques to Sonoma County that subdivides the year into discreet seasonal slivers called shichijuuni koo. Think of it as dividing the year into a pie with 72 five-day slices. At least that’s one of the driving philosophies of Single Thread Farms, a two-acre plot of land the Connaughtons are cultivating near Healdsburg. Katina and her husband, chef Kyle Connaughton, see their small farm on Pete Seghesio’s historic San Lorenzo property as the epicenter for their haute trowel-to-table restaurant slated to open in the Healdsburg Meat Company building next fall. Working in synchronicity, she (the farmer) and her husband (the chef), will introduce subtly different menus every five days, a rolling lineup of dishes that, Katina says, will “memorialize that fleeting moment in time” on the farm. “We have a unique opportunity to create a constant dialogue between the kitchen and farm,” she says. Consider, for instance, the example of peas, which could be served throughout their growing cycle as shoots, tendrils, young peas, and mature ones over a period of several weeks. Admittedly, even in a farming community as seasonally aware as Sonoma County, this may all sound a bit fussy. But for anyone who has eaten a perfectly ripe tomato, still warm from the vine, on a late August afternoon sekki—that perfect annual moment for eating that particular tomato—it doesn’t seem like such a stretch. In fact, it seems downright logical. Japan’s micro-seasons, or “koo,” read more like haikus than an actual almanac, and take into account subtle changes that include everything from the sun’s position in the sky to temperatures, precipitation, and wind. 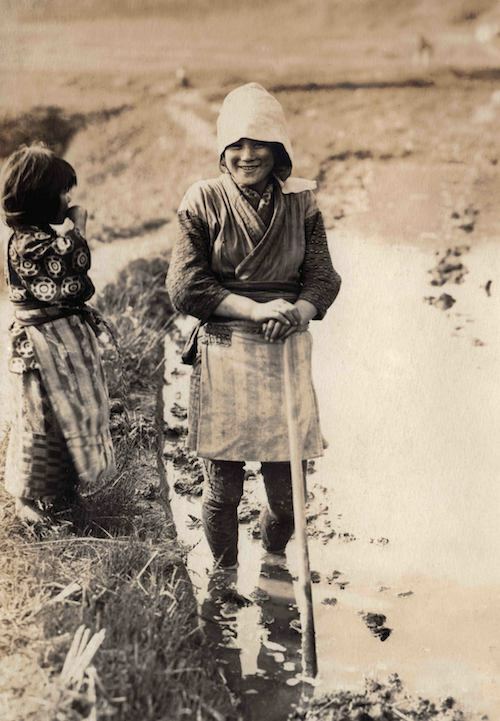 They are, in fact, so specific—calling out particular planting days, anticipated rainy periods, and expected heat, that they once informed things like bathing, changing kimonos, and what was served for dinner. To get a sense of the agricultural precision Katina strives for, consider that “seasonal” asparagus is conventionally harvested over a roughly eight-week period between early March and late April. Even at its seasonal best, there are huge variations in size, tenderness, and flavor. Using smaller five-day farming cycles based on subtle changes in solar angles and weather, Katina focuses on a harvest that celebrates the absolute apex of the plant, which may only be for a few days or may last for a few weeks. It just depends. As of this writing, the farm has yet to be planted, but Katina says consumers can expect to see familiar fruits and veggies from their farm as well as more exotic Japanese ingredients that can be hard to source, and grow, in our climate. Having studied this arcane technique during a three-year agricultural immersion in Hokkaido, Japan, Katina sees the rhythm not as a farming technique, but a philosophy of sustainability, understanding the land, making intense observations. Like many farmers, she keeps a keen eye on the subtle nuances of the seasons and changes to the landscape that will translate to the table. “Our menus will serve as an anthropological account of those changes,” she says.